Region V Services prides itself on being an Employment First Agency; meaning that employment is given first priority when planning services for people. Services are individualized and we do not work on a “one size fits all” method. When attaining employment, we consider what the person truly wants in terms of work. When a student graduates from high school in Nebraska, after completing the 18-21 Transition Program, and meets the qualifications established by the State, they are automatically eligible for Day Services. It is possible that the student has already worked with Region V as part of their school program. It is also likely that a State Services Coordinator has been assigned to work with the student and their family. There are many components to Day Services. o Employment First. This is one of the first things considered when designing supports. What are future employment goals and how will they be achieved? Some people might participate in the “Career Academy”, others might prefer a one-on-one approach. Each person’s team will help determine the best direction. Once a person obtains a job, Region V offers a Job Coach to ensure ongoing success. o Day Service Center. Many activities occur daily to Enhance the Lives of all participants. 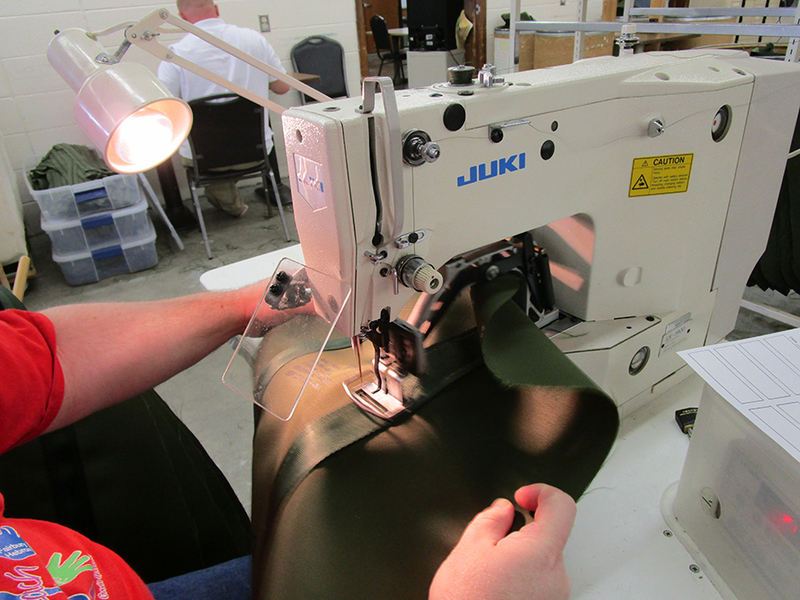 Contract work is available – tool bags and applicator pipes are produced and people earn wages for work completed. People participate in volunteer activities such as Meals on Wheels and activities at local nursing homes. Various classes and learning activities are available. Sometimes, social and recreational activities are offered. “Home, sweet home.” For those supported at Region V Services, this phrase is no different. Home is a secure and peaceful place to call their own. Two to three roommates share a home in the Nebraska City area. Every individual has a private bedroom and share common living spaces with roommates. Each person is involved in decorating and taking pride in caring for their house. Full time residential staff is available to assist as needed for people supported to live as independently as possible. Assistance is provided in personal care and daily living skills as well as administering medications, transportation, budgeting, and other areas. When needed, additional staff is scheduled to assist full-time staff in the home. Some people may not need the assistanceof a staff person all the time. A person might rent an apartment or house, with or without a roommate, and need only periodic support. Staffing patterns can be more flexible based on individual wants and needs. For people living with family, supports can be utilized to focus on community activities and independent living skills.